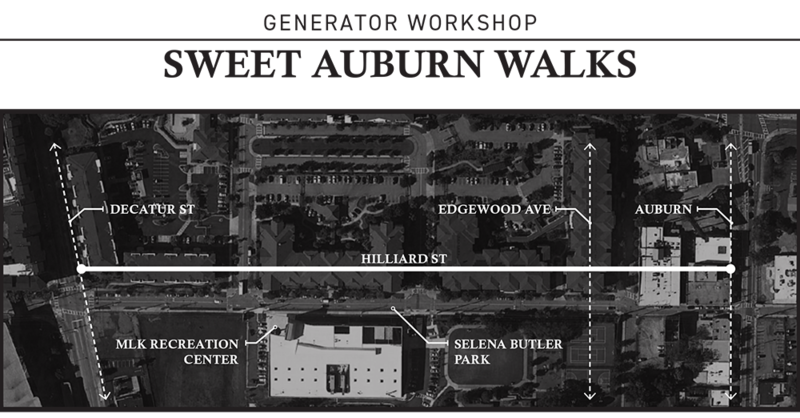 The Generator Workshop: Sweet Auburn Walks will focus on the .4 mile stretch of Hilliard St, beginning at Decatur St and ending at Auburn Ave. Hilliard offers a unique opportunity for creating an enhanced experience of the activity, both during the day and at night. 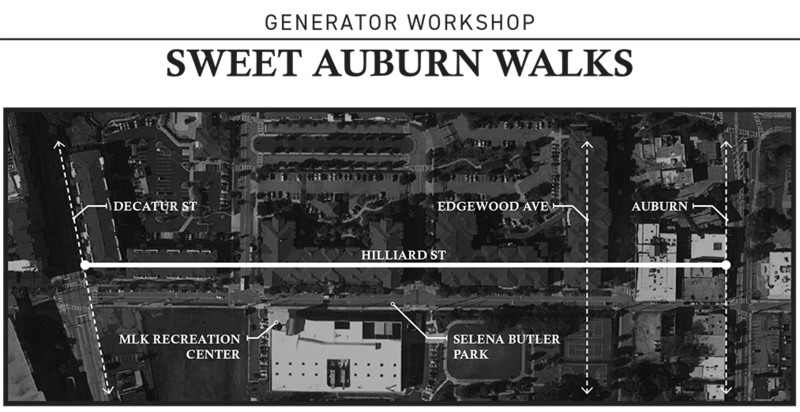 The workshop will seek to identify and ideate concepts for creative placemaking along the path with ideas coming from the community. The ultimate goal of these concepts will be to enhance accessibility, appearance, and sociability of the Historic District. 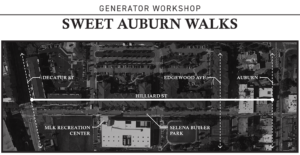 Generator will host 4 different groups in two-week sessions to come up with and discuss ideas for creating a more walkable experience on Hilliard Street. Each session will begin with a “walk-shop,” where participants will explore Hilliard, ending at a local restaurant to have a meal and dialogue about their findings. Participants will then be asked to bring an idea to be workshopped for the second week. Learn more about the project, then SIGN UP!